In the wake of the spring and summer hail storms, vehicles often endure cosmetic damages that can harm resale value and simply mar the appearance. Beyond the face value, hail stones can not only dent your car, but fracture your paint job. 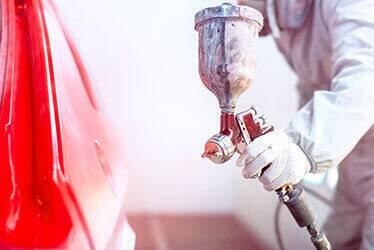 If not repaired, the paint will eventually start to flake off leaving your car susceptible to rusting. CARSTAR offers two options to repair hail damage and restore your vehicle to pre-storm condition. While many of us know what acts of Mother Nature will affect our area of the country, it's impossible to plan for the severity of the storm and the damage that could occur to your vehicle. Getting your car back up and running can be stressful, which is why we compiled the following tips to help you prepare. Before the Storm Hits: Make copies of your vehicle registration, title, insurance card and driver's license and secure these documents in a safe, dry place. It may be helpful to get in a habit to update these documents anytime you make changes. If your vehicle must stay outside, make sure the area surrounding is decluttered and free of potential hazards and obstacles, including weak tree limbs, clogged water drains and loose materials. After the Storm Clears: Record the damage with photos and videos, including location markers and details of the storm's impact. If you are unsure if your car is safe to drive, it's best to wait until you are able to get the vehicle towed to a repair facility and the damage properly evaluated. Have a Repair Plan in Place: CARSTAR offers high-quality, reliable repair service in 33 states and 10 Canadian provinces. Call 1-800-CARSTAR when you need us and we can send a tow truck, contact your insurance company, arrange for a rental car and repair your vehicle. The size and location of the damage will determine if PDR is the appropriate technique to repair your vehicle after a storm. If your car has only sustained minor damage during the storm (such as small dents or creases), then PDR is definitely an option to consider. If the paint is chipped or scratched, the amount of dents are too numerous, or if the metal has been stretched, then a conventional repair process is recommended. This can involve sanding down and straightening the damaged area, or even replacing body panels. Once repairs are complete, those sections of the car will be repainted to match the original color. Hail Damage Assessment: CARSTAR offers careful evaluation of your vehicle in order to provide you with the best options on how to repair hail damage. 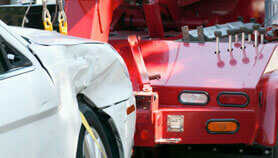 Depending on the level of damage, our technicians will recommend either PDR or conventional repair. The damage assessment is a very important step, as choosing the wrong course of action or not including hidden damage in the estimate can cause delays and extra costs. Repair Plan: Our damage assessment is important not only for determining the type of damage, but also to establish the best course of action. We always try to provide our customers with options and you will see a detailed repair plan before any work commences. Nationwide Warranty: Restoring your vehicle to pre-storm condition is our goal, but so is your peace of mind. CARSTAR offers 5-year nationwide warranty on qualifying repairs, so you’re covered whether you move or you travel. Quality Control: Regardless of the type of hail damage repair that’s best for your car, you can rest assured that quality is at the helm of our operations. We’ll conduct both quality control and quality assurance inspections. Full Assistance: When nasty storms strike, the last thing you want to be stressed about is repairing your car and having to deal with insurance, car rental, paperwork and more. We take that stress from you and provide full assistance from tow services to insurance liaising and more. Top Resources: At CARSTAR, you’ll find expert, skillful and experienced technicians who use state-of-the-art equipment to conduct high quality repairs on your car. Peace of Mind: When your vehicle is in the best of hands and you benefit from nationwide warranty, then peace of mind comes easy. 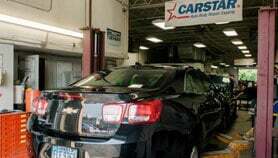 With CARSTAR, you can also rest assured that there will be no surprises as we keep you updated along the process. Options: You’ll always have options with CARSTAR. Hail damage repairs can take different approaches and we’ll walk you through your options every step of the way so that you’re always sure of what you’re choosing. 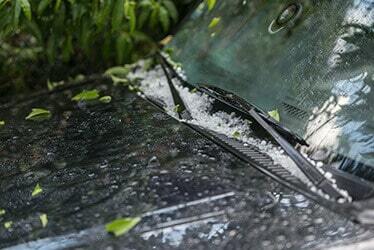 What is the first thing I should do if my car was damaged by hailstorm? What is the first thing I should do if my car was damaged by hailstorm? Record the damages and contact your insurance. The more detailed your recordings are, the easier the process will be. We can also help in liaising with any insurance company and make sure you enjoy a smooth and stress free process. Will a hail damage claim increase my insurance? Will a hail damage claim increase my insurance? No. Natural occurrences, which are out of your control, are part of comprehensive claims and they are exempt from rate increases. Can I remove hail damage from my car myself? Can I remove hail damage from my car myself? While there are some small repairs and DIY tips for fixing hail damage, this is not recommendable. There can be hidden damage that you can’t see or repair, not to mention that there can be extensive damage that requires structural repairs. The best course of action is to contact a reliable, experienced repair service and have your vehicle assessed. Will my insurance want to inspect the vehicle themselves? Will my insurance want to inspect the vehicle themselves? 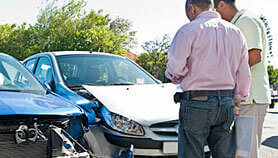 It is possible that your insurance company will have an adjuster look over your vehicle and provide an estimate. However, it is the vendor’s (repair shop) specialty to assess damage and draft a repairs plan, as well as an estimate. Don’t worry, we will work with your insurance to make sure your repairs are covered. How long does hail damage repair take? How long does hail damage repair take? The repair time depends on the type and extent of the damage, as well as the type of repairs that are needed. In some cases, the hail damage is minor and can be fixed through Paintless Dent Repair, which takes 2 to 3 days. If conventional repairs are needed, these can last anywhere between one week and one month. Is it better to wait until hail season is over to get my car repaired? Is it better to wait until hail season is over to get my car repaired? No. Suffering additional damage without reporting the first damage may result in your claim being rejected. The optimal course of action is to report hail damage immediately after the storm and schedule your vehicle for repairs. What happens if my car has additional damage that wasn’t caused by the storm? What happens if my car has additional damage that wasn’t caused by the storm? We can take care of those too. Our expert technicians will conduct a thorough assessment and determine all damage, as well as its source. We can work together with you and your insurance to be able to make all necessary repairs and keep your costs low. Don't let your auto repair bill put a dent in your day. At CARSTAR, we offer a financing option with the CARSTAR CarCareOne credit card - designed to help get you back on the road with your budget in mind. 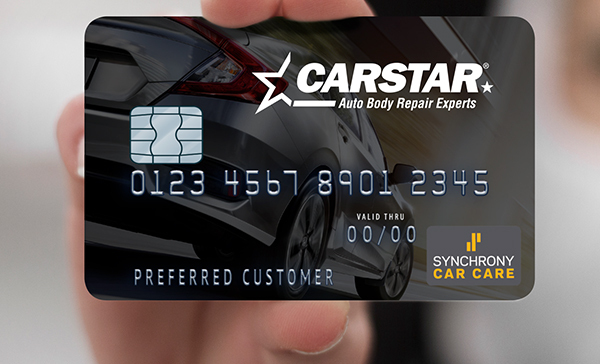 From convenient monthly payments to no annual fees, there are numerous benefits to getting a CARSTAR credit card today. We stand behind our work with a CARSTAR Limited Five Year Nationwide Warranty* on qualifying repairs. If you move to a new city or happen to be traveling, you are covered and if there is not a CARSTAR nearby, we will find a convenient location to honor the warranty. *Please refer to the official CARSTAR Warranty Document (if provided by the CARSTAR Location at the completion of the repair) for specific coverage and excluded items. Being left without a car is stressful enough, so don’t worry about making additional arrangements. We'll coordinate a rental car for you through your insurance company with one of our preferred providers. We can also help with towing services if your car is not in driving condition to ensure you safely get to our location.